This Line Tool Co. C-SP X-Z is a special version of the Model C Line Tool Stage. What is special is that it has a 1/2" riser built into the base, otherwise it is stock. 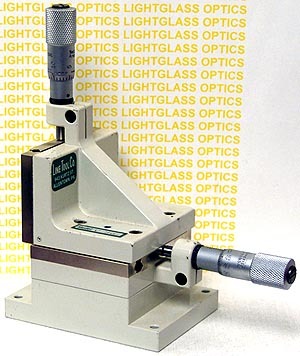 Ball-bearing slides, high quality precision construction, and the actuators are included!